After a friend’s suicide last year, Zach Schleien sought some answers through an online discussion forum. He was riveted by the people who shared their pain, such as the 19-year-old woman who never left her room and the man with schizophrenia trying to manage the warring voices in his head. Schleien started wondering whether there was something he could do to help alleviate such suffering. Schleien, who works in business technology in New Jersey, called the channel 18percent for the 18 percent of the U.S. population living with mental illness. Launched this year by a nonprofit that Schleien founded with David Markovich, an internet marketing consultant, the channel has about 150 members who have sent more than 11,000 messages. The study showed that the incidence of first-episode psychosis was higher among men aged 18 to 24 than among women in the same age group. And there is more on the electronic horizon, for both the worried well who want to relieve everyday stresses and the more seriously mentally ill. Pepper, a humanoid robot that moves naturally and is capable of “reading” a person’s emotions, has conducted meditation and mindfulness classes for British college students. For people with schizophrenia, avatars that embody a person’s auditory hallucinations also show promise. The National Institute of Mental Health acknowledges both the pros and the cons of the “new technology frontier,” with the risk to health privacy among the additional negatives. Yet there are advantages, it says, including anonymity, low cost, convenience and 24-hour service. Young people seem especially receptive, given their constant use of electronic devices, say technology designers and researchers. For them, turning to a smartphone or tablet when they have a problem is second nature. The ease and anonymity of apps also makes seeking help less stigmatizing. “Personally, I always have my phone,” said Kayleigh, a 16-year-old in the Midwest with anxiety that is sometimes debilitating. The high school student, who spoke on the condition that her last name not be used, began using the 18percent Slack channel just a few weeks ago. As someone who has been bullied, she said, she likes that the conversations are confidential and that what’s shared can’t be searched on the internet. Not having to set up an account, as most online forums require, was reassuring for privacy, and knowing that others on the channel have similar issues made her feel comfortable reaching out. The Slack channel is free. Other apps charge, though their price is usually far less than the cost of seeing a psychotherapist. Ginger.io, for instance, allows a user to text a mental-health specialist and receive a reply within a minute, no matter the time of day. It costs anywhere from $129 a month for 24/7 access to a mental-health coach to $349 a month for the same service plus two video sessions with a licensed psychiatrist. Both she and her brother, who is 13, have heard from users about how much notOK has meant to them – for a variety of issues, including panic attacks and recovery from drug addiction. The app has been downloaded about 12,000 times since it was made available in late January, with approximately 3,000 hits of the button every month, according to Charlie. Elsewhere on social media, the constant beeps, buzzes and flags that signal a new posting or notification have prompted complaints. But mental-health apps are different, proponents say. Some include “those same tools – notifications – but in a productive way” that can support users, said Roxy Fata, a content strategist at Digital Third Coast, which evaluates apps. “It’s a supplement to therapy, for sure,” said Kerrin McLaughlin, a web designer who is one of a handful of moderators on 18percent. Her Slack channel job is to connect users with resources, be supportive and respond to alerts when the app program detects a participant using such words as “suicide” or “I want to die.” That’s when she will ask a series of questions, provided by professional advisers, to determine the seriousness of the person’s self-destructive messages and, if warranted, share the number of a suicide hotline. 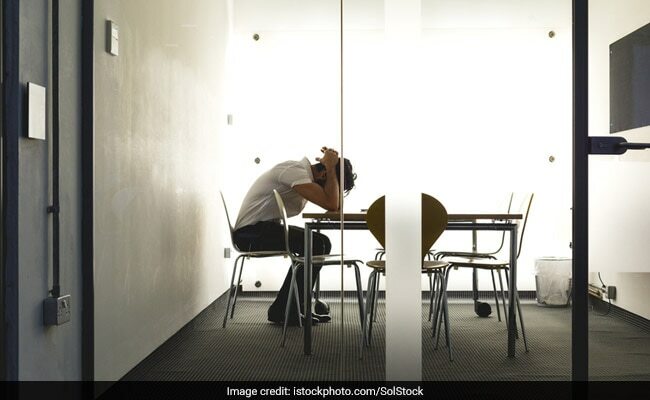 IntelliCare, developed at Northwestern University’s Center for Behavioral Intervention Technologies, is based on a similar methodology aimed at depression and anxiety and includes a suite of programs. Some of these mini-apps give advice, others offer a checklist. “When you start, the app gives you a brief screening to find out the severity” of the user’s problems, said psychologist Stephen Schueller, one of IntelliCare’s developers and an assistant professor of preventive medicine at Northwestern. The app also collects information, such as phone use – how often, what time of day – and location, which can help indicate how often the person leaves home and whether he or she is regularly going to work or keeping to a routine. The data can be accessed by the user’s therapist, making it easier to assess and even predict the individual’s state of mental health, Schueller said. IntelliCare is one of the few apps that has been tested in a clinical trial, albeit a small one. Most mental-health professionals agree that the lack of serious study has opened the field to criticism. That’s slowly changing. In a recent study looking at the app’s use for a range of serious mental disorders, Ben-Zeev and his team found that subjects were willing to try Focus and that it proved effective. Some people even called it empowering.